Turquoise Mel decanter the body engraved roses, thistles and shamrocks (symbols of the Act of Union) with silver plated cork stopper. English C1830. Condition: Very good. The decanter has been professionally cleaned and the silver plated cork stopper has been replaced. 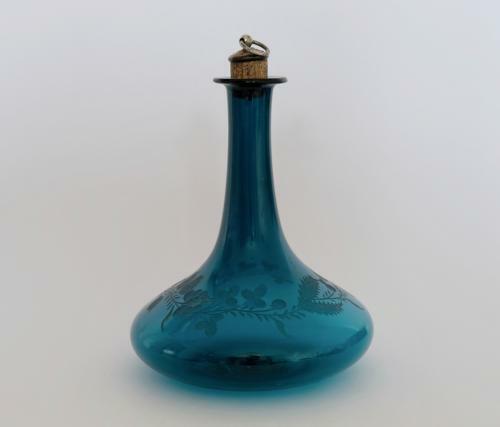 Note: This is a greenish blue decanter and probably shows up more blue in the photograph than its actually is.